Sometime rescue isn’t about pulling, fostering, and placing dogs. Sometimes all these dogs need to save their life is money. 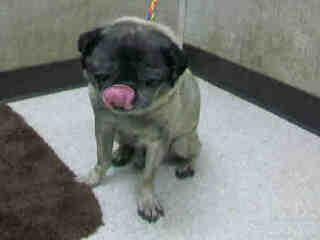 This heartbreaking picture of a senior pug showed up on the OC website. We called and found out that his owner was out of the country, he escaped the yard of his owner’s daughter, and she couldn’t afford to pay his bail. The rescue coordinator gave me the number of the owner’s daughter and she talked to me, crying. She explained that she had half the money and didn’t get paid until Thursday. The pug was getting sick. So I paid half the fee and she picked up the dog. 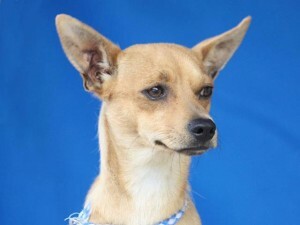 Super fly was a gorgeous chihuahua that was at the Baldwin Shelter. He had to be out and a rescue in Canada didn’t have the funds to fly him. I had worked with this rescue before and they are very reputable. I paid for his freedom and he was adopted shortly after he arrived. So the bottom line, is there are many ways to help. If you can’t adopt, foster. If you can’t foster, donate. If you can’t donate, volunteer.